Speical Price - 31% OFF! 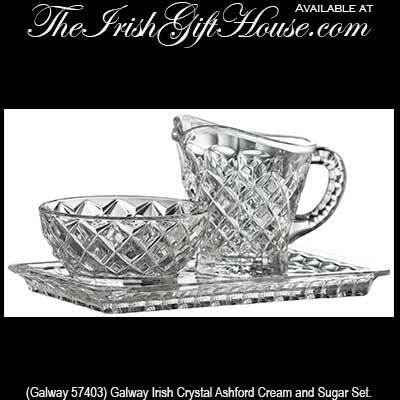 Galway Irish Crystal Ashford Sugar and Cream Set with Tray. Sugar - 3.7" Wide x 1.8" Tall. Cream - 4.5" Wide x 3.1" Tall. Tray - 7.5" Long x 4.3" Wide x 0.6" Tall.